IBM branded (non-generic) 146.8GB 10K SCSI HDD for your IBM server storage needs. 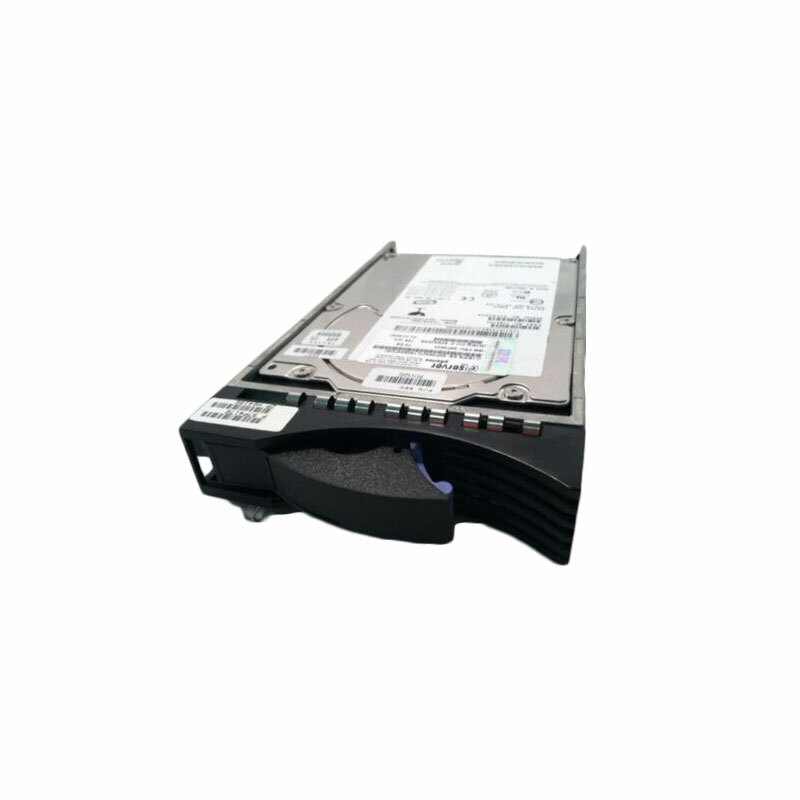 The IBM 1969 is a 146.8GB 10k RPM SCSI hard drive for use specifically in IBM eServer pSeries Servers (IBM PowerSystem). Whether you’re upgrading your IBM server or simply looking for a replacement hard drive, we have what you need. If you don’t see the part listed that you’re looking for, please use our Contact Us form; as we have many parts in inventory that are not listed. Please note that all IBM Ultra320 hard drives, systems and parts are used / refurbished, fully-tested, and backed by a 60 day warranty. The IBM 1969 provides faster interface speeds when attached to an Ultra-320-capable adapter. The drives are also compatible with earlier, slower SCSI adapters. The higher SCSI bus data rate along with the 10,000 rpm spinning speed of the disk platter can greatly improve a system’s overall data throughput. The disk drives’ 3.5-inch, 1-inch-high (25-mm) form factor allows them to be placed in dense system configurations; the perfect hard drive for IBM eServer pSeries Servers. This IBM 146.8GB hard drive is high-performing, reliable, and a good choice for those who care about the quality of their computer components. Technophiles and hobbyists alike can take pride in the design and operation of this internal 1-inch hard drive. This IBM 300GB HDD is an outstanding device for storing all of your important data. The IBM 1969 is easily installable, enabling you to simply use it in computers compatible with the SCSI-1 standard. Featuring rugged construction, this IBM 146.8GB hard drive is wonderfully dependable, so you can enjoy the benefits of sustained trouble-free uptime without worry of data errors or component failures. Since this internal 1-inch hard drive includes a nimble 10000 RPM speed, you can load a multitude of games, data files, and applications in rapid fashion. Furthermore, since the IBM 1969 features sufficient storage capacity, you can store your entire family’s photo library, software applications, and digital library with confidence. IBM Ultra 320 SCSI Hard Drives undergo an intense qualification process that eliminates data integrity problems firmware and O/S incompatibilities and other causes of data corruption or premature failure. IBM Ultra 320 Hard Drives are specifically designed and tested for flawless operation in your equipment. Configure your IBM server with a Genuine IBM Ultra 320 Hard Drive and you will prevent incompatibilities that can rob your system of performance or cause you to lose valuable data. Use the Genuine IBM Hard Drives that IBM recommends and enjoy our no fault lifetime warranty on this Hard Drive for as long as you own the server.